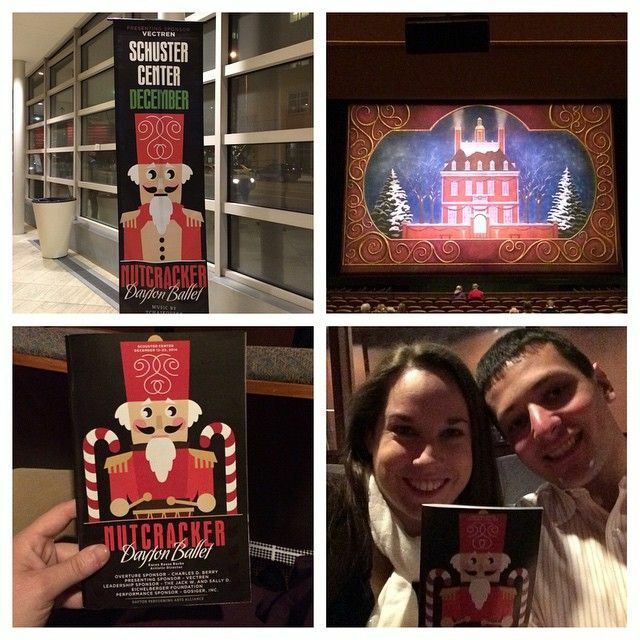 A couple weeks ago, my sweet husband scored some free tickets to see the Nutcracker ballet at the Schuster Center in downtown Dayton. He knows that my favorite ballet is the Nutcrackers, so he took full advantage of the free military tickets. I was thrilled when he told me we were going, and we had so much fun! Little did we know that our free seats would be on the lower level RIGHT in the center! It was amazing seeing it all play out, and some of our friends were sitting close by, and we had no idea they'd be there too. It was a fun, romantic night out, as we enjoyed a new-to-us restaurant, the Spaghetti Warehouse, before the performance. We had a GREAT time at the Nutcracker, and I hope we're able to see more shows at the Schuster Center before we leave - it was awesome! Do you enjoy the Nutcracker? Do you like going to the ballet? What is YOUR perfect date night? I've always wanted to see the Nutcracker but I never have. I have never seen the Nutcracker and it makes me sad. Oh fun, I'd like to see it someday. I want to see it one day! So awesome you got to go for free! I love the Nutcracker. I've seen it preformed in Richmond as well as in the Rockefeller Center.